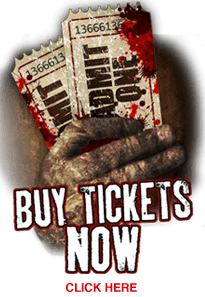 Dark Hour Haunted House in Plano, Texas (Dallas TX): The witches of Coven Manor do not find the traditional Halloween Season long enough to fill the world with sufficient fright so Dark Hour Haunted House provides 8 individual opportunities for them to create chaos. Each month a new witch takes over the coven and releases her own brand of terror on unsuspecting visitors to the Coven House. Scream loud, scream often as we celebrate the fear in every season with shows such as, "Wreck the Halls," "Love is Blind," "St Patrick's Slay Weekend," "Summer Spirits," and many others in addition to Dark Hour's traditional Halloween show.